On Saturday 25th April 2015, swissFOCUS will run an Introduction to Umpiring Course at Centre sportif des Vernets, Rue Hans-Wilsdorf 4, 1227 Les Acacias. 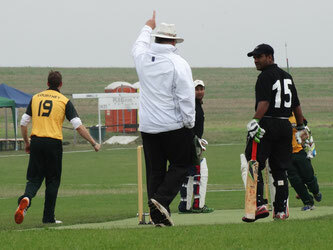 Cost of the course is CHF40, which includes the course materials (including examiners review & certificate where applicable), one or two qualified umpires as lecturers, the examination & your first years membership of the Swiss Federation Of Cricket Umpires & Scorers. Ample car parking is available and it is also accessible by public transport. A self-service restaurant serves food & drinks all day. Places on the course are limited so reserve your place on the course early to save disappointment. (available from self service restaurant located on site).